High blood pressure. We know it’s a serious condition. It is one of the first things checked for when you enter a doctor’s office. Whether your visit is related to cold symptoms or a prescription refill, your blood pressure is taken and recorded. Why? What is normal blood pressure and what happens if there is a sudden rise in blood pressure? To sort the myths from the facts, we will examine what sudden high blood pressure is and ways to prevent it. Blood pressure is measured by the systolic blood pressure (top number) and the diastolic blood pressure (the bottom number). The top number indicates how much pressure your blood is forcing against the walls of the arteries when the heart beats, and the bottom number indicates the pressure when the heart is at rest between beats. The normal blood pressure range for your top number is between 90 and 120 and for the bottom number, between 60 and 80. High blood pressure is diagnosed with consistent numbers of the top above 140 and the bottom above 90. Sudden high blood pressure occurs when a spike in your high blood pressure happens suddenly and stays high. High blood pressure occurs when the force of the blood flowing through narrow arteries is greater than usual, making the heart work harder to circulate the blood through the body’s blood vessels. Sudden high blood pressure, or malignant hypertension, occurs when the blood pressure rises very suddenly and quickly. So, why is it important to monitor your blood pressure when you have no symptoms of heart issues? Because there are no symptoms for high blood pressure until it’s a case of severe heart disease. Some people have high blood pressure for years with no symptoms; however, damage to the heart can still be happening. 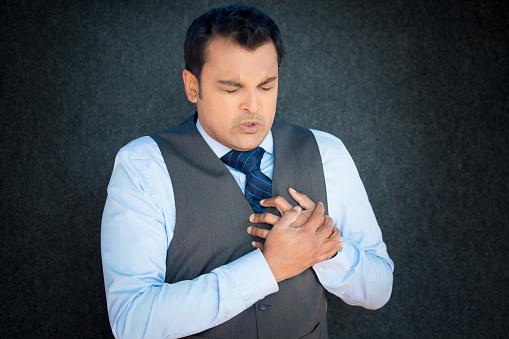 Sudden high blood pressure does have significant symptoms and must be taken seriously. How to Prevent Sudden High Blood Pressure Problem? Sudden high blood pressure can also be brought on by daily activities and practices. Medication use such as over-the-counter pain relievers, a combination of various medications, and abuse of cocaine and marijuana can spike blood pressure levels. Smoking can cause a sudden increase in blood pressure as the chemicals, including nicotine, damage the linings of our blood vessels. Diet habits are critical to maintaining normal blood pressure levels as the bad fat and sodium found in many foods increase the blood solute content. It also can build up and block the blood vessels, leading to major heart trouble such as a stroke. Stress is part of our everyday life and becoming anxious about your worries can increase risk for spikes in blood pressure twofold. Medical conditions like kidney disease, spinal injuries, adrenal gland tumors, thyroid issues, and scleroderma can raise blood pressure rapidly. 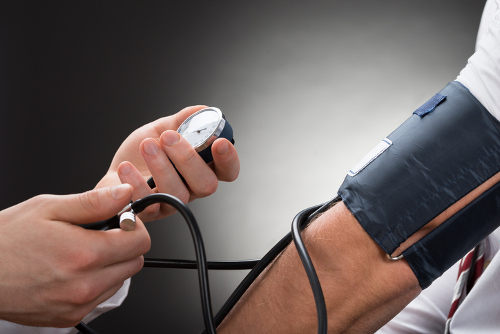 There are many other causes of blood pressure to suddenly hit very high readings. Consuming abundant amounts of caffeine and alcohol can affect your numbers as can weight gain and a shift in hormone balance. Unlike traditional high blood pressure, where there are no visual symptoms until major damage has occurred, sudden high blood pressure alerts you immediately. In extreme cases of sudden high blood pressure, there may be bleeding from damaged blood vessels, blindness from ruptured retina nerves or vessels, and possibly seizures. A rise in already high blood pressure requires immediate medical attention. You can expect to have intravenous therapy and tests to determine what caused the spike in your pressure. Once your pressure is stabilized to a satisfactory level, then your doctor will discuss further treatment. Depending on your current health condition and any issues aside from high blood pressure, your treatment will vary. For example, if there is fluid in your lungs, you will be treated with prescribed diuretics to remove the fluid. If there is damage to your heart, you will be prescribed specific heart medication. Medications you may be taking may need to be adjusted or changed to another type, depending on your test results. Any kidney damage or tumors may require surgery. In 2013, more than 360,000 deaths in the United States had high blood pressure as primary or contributing cause. Each year, the government spends an estimated $46 billion for workers’ missed days, health care services, and high blood pressure medications. Talk to your doctor about treatment for high blood pressure medications. In the meantime, there are precautions you can take right now. Become involved in hobbies such as painting, exercise, and other physical activities to have a stress outlet and keep fit. Talk with your doctor about your caffeine habits and stick to a plan to limit your daily intake. As one of the biggest health risks, smoking can lead to serious heart and lung conditions and death. Avoid saturated fats and junk food to maintain healthy blood pressure levels. Added salt and salt found in food products can lead to high blood pressure as it increases the solute content in our blood. A healthy heart, and body, requires regular exercise daily for 20 to 30 minutes. It is important to keep an eye on your blood pressure, heart rate, and blood sugar levels, especially if you have been diagnosed with high blood pressure. There are also natural remedies to interject into your daily lifestyle to regulate blood pressure and prevent cases of sudden high blood pressure. Be sure to discuss the use of the following products with your doctor in addition to your health regimen. To prevent a blockage of blood vessels, consume celery daily. It contains phytochemicals that relax the muscles, allowing a smoother blood flow. This spice has fiber to help maintain blood pressure levels. Boil one to two spoonsful of seeds in water to create a paste. Consume one tablespoon per day. By having one half or a whole lemon each day, you can prevent inflammation and eliminate harmful substances that attack your blood vessels. Lemons contain an abundant amount of the antioxidant vitamin C.
Drink daily as a source of vitamin C, magnesium, and potassium to lower blood pressure. One of nature’s best immune system boosters, garlic is a blood thinner. Use at least four grams per day. A person with high blood pressure is at risk for various health conditions including heart disease. If your high blood pressure numbers rise suddenly, it could indicate an underlying condition that requires immediate medical attention. There are certain medications and hormonal changes that can stimulate an increase in pressure without causing alarm. If you have been diagnosed with high blood pressure, talk to your doctor about lifestyle changes and natural remedies in addition to your prescribed health regimen. “High blood pressure (hypertension),” Mayo Clinic web site; http://www.mayoclinic.org/diseases-conditions/high-blood-pressure/basics/causes/con-20019580, last accessed February 1, 2017. Understanding Blood Pressure Readings,” American Heart Association web site; http://www.heart.org/HEARTORG/Conditions/HighBloodPressure/AboutHighBloodPressure/Understanding-Blood-Pressure-Readings_UCM_301764_Article.jsp#.WJHkORsrLIU, last accessed February 1, 2017. “High Blood Pressure Facts,”, Centers for Disease Control and Prevention web site; https://www.cdc.gov/bloodpressure/facts.htm, last accessed February 1, 2017.